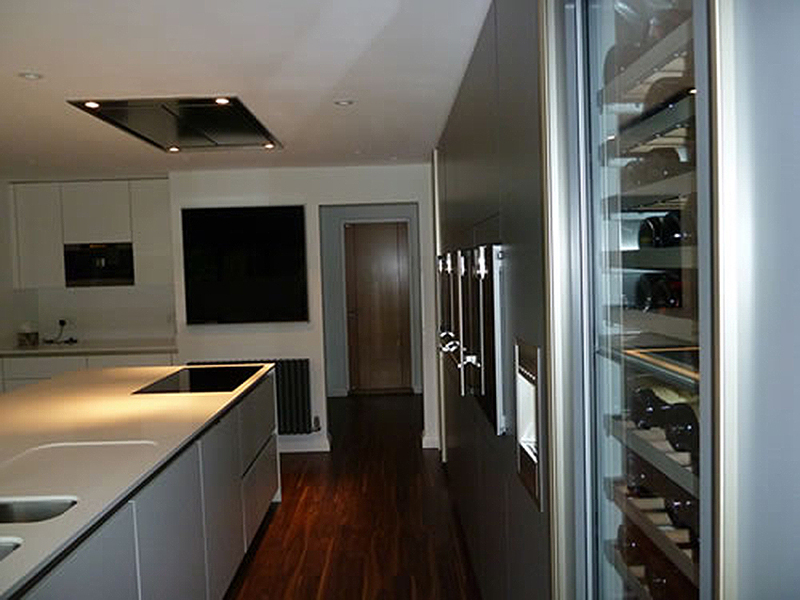 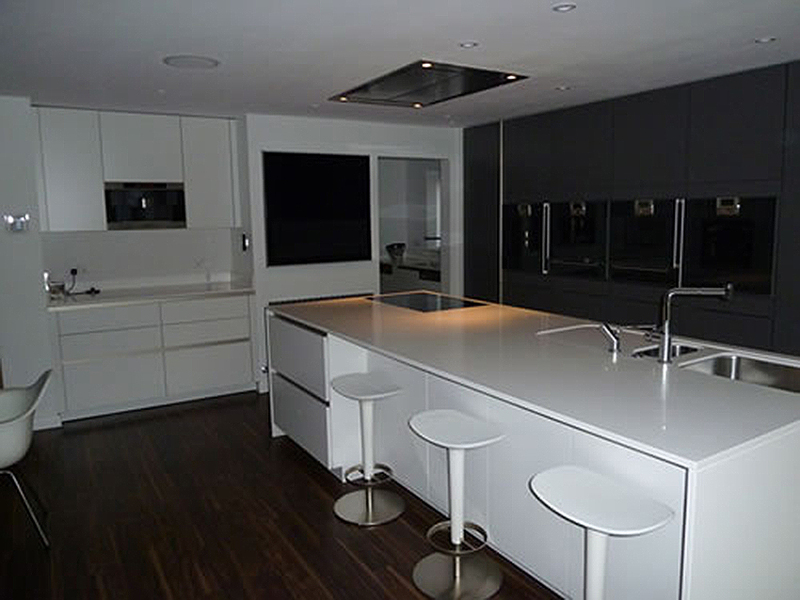 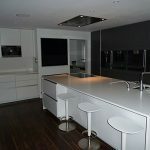 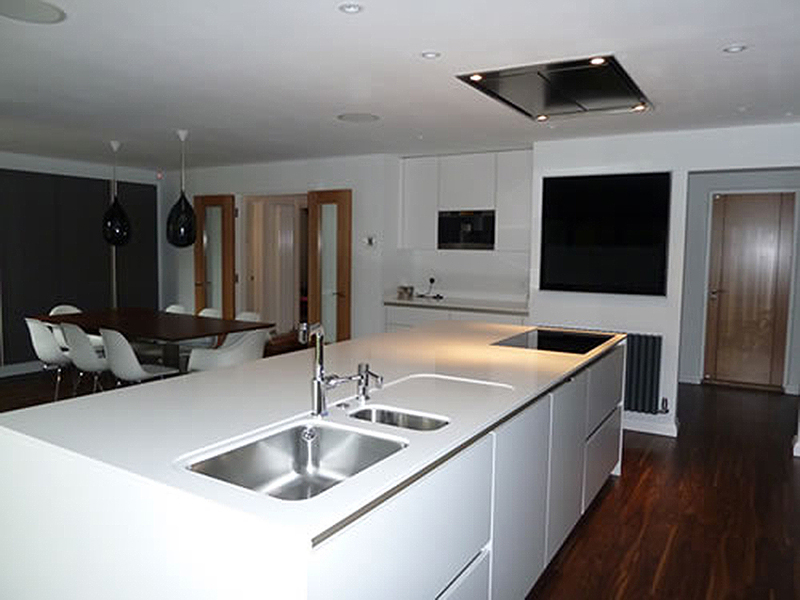 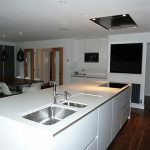 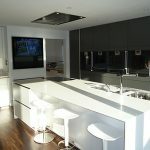 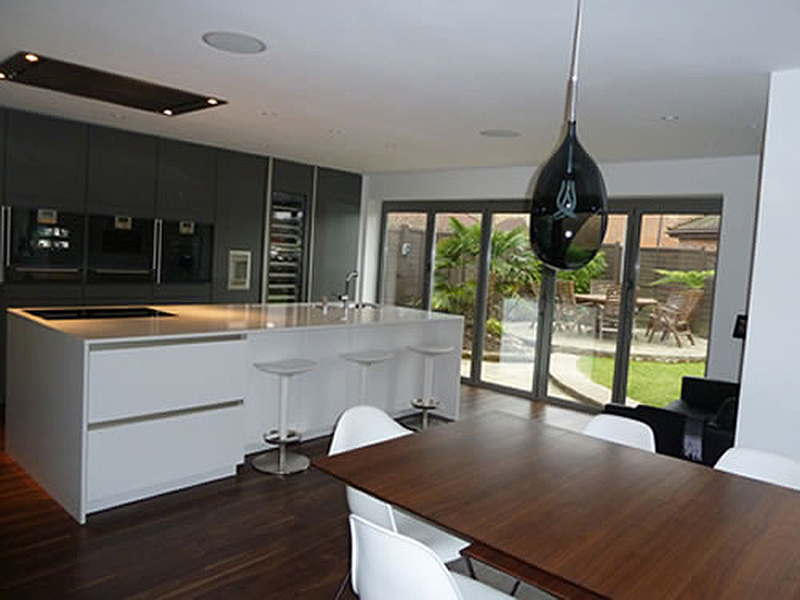 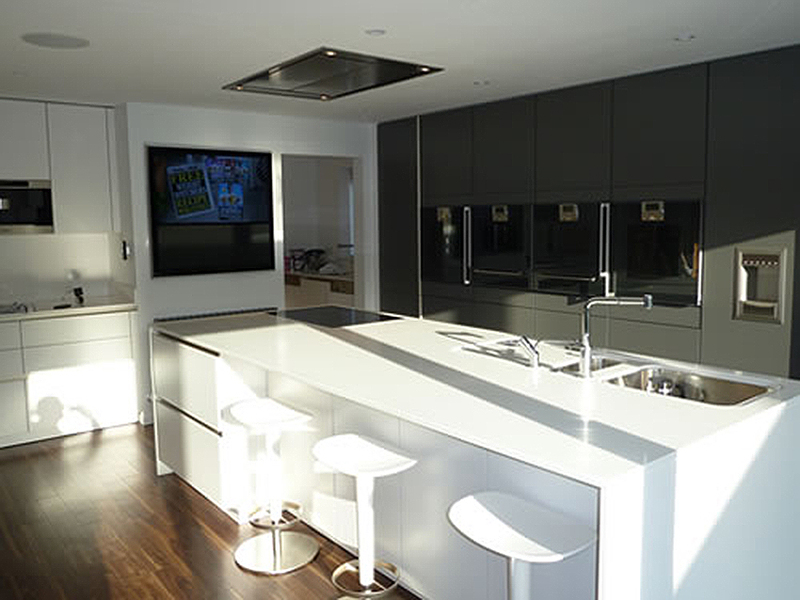 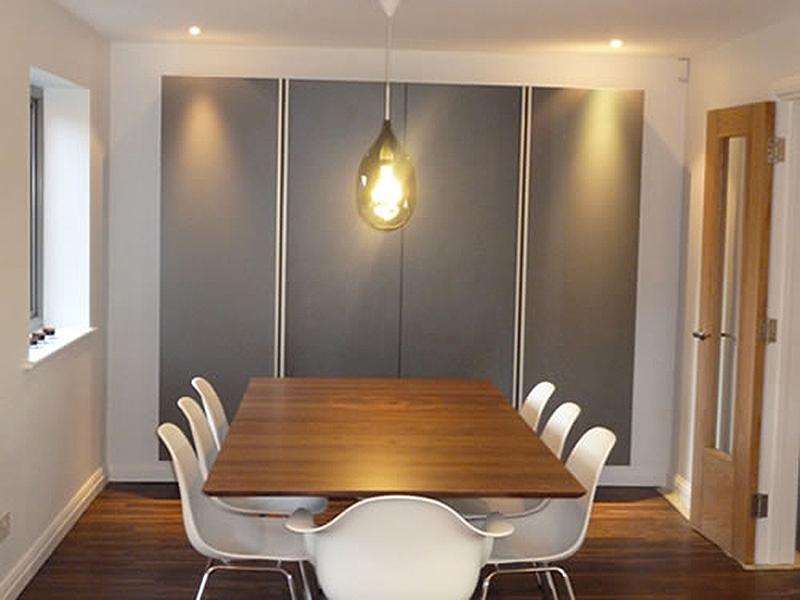 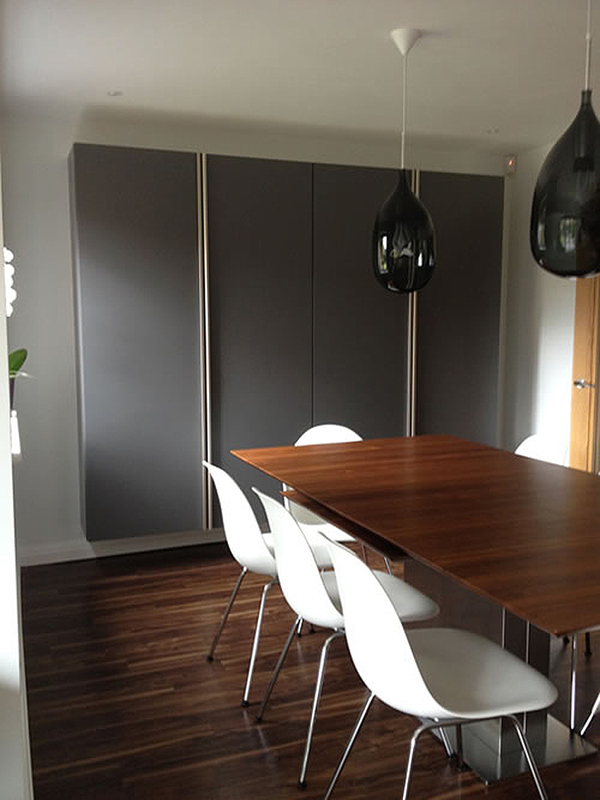 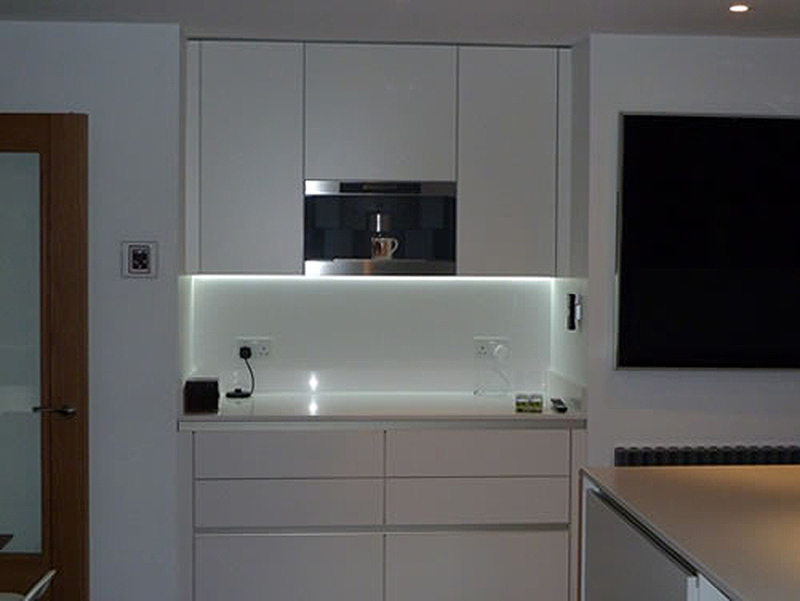 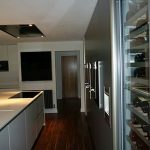 ABM were approached to put together an extension, to create a modern kitchen extension. 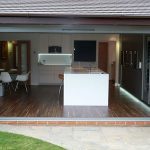 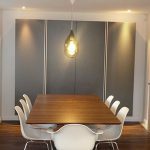 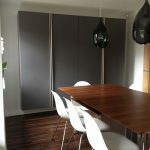 The extension was open plan to include a dining room area as well as a family snug. 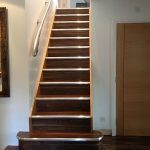 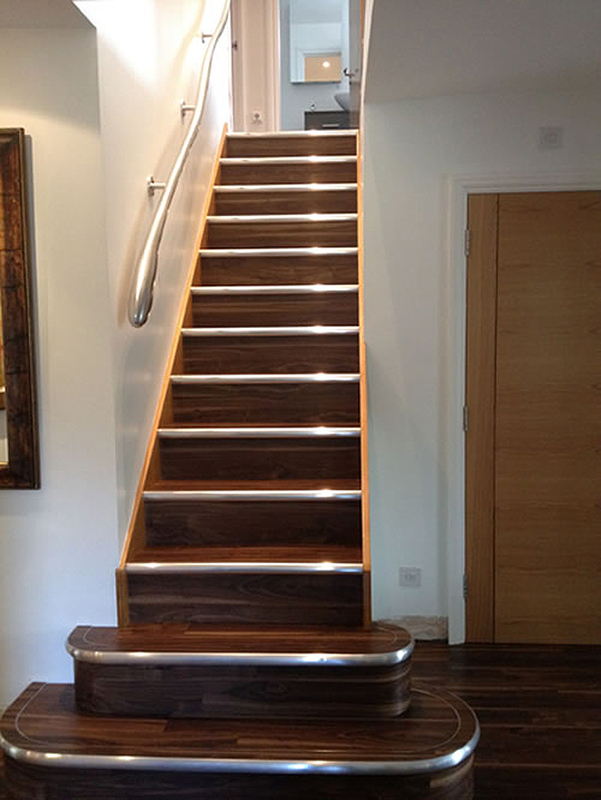 The client also wished to remodel the existing house with a complete refurbishment including an oak staircase with a glass balustrade that brought the modern concept together. 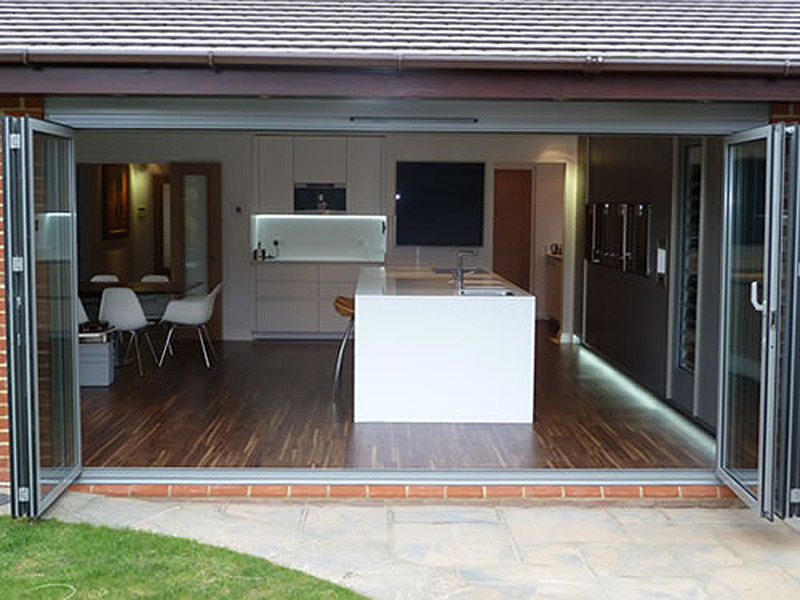 Large bi-folding doors were included. 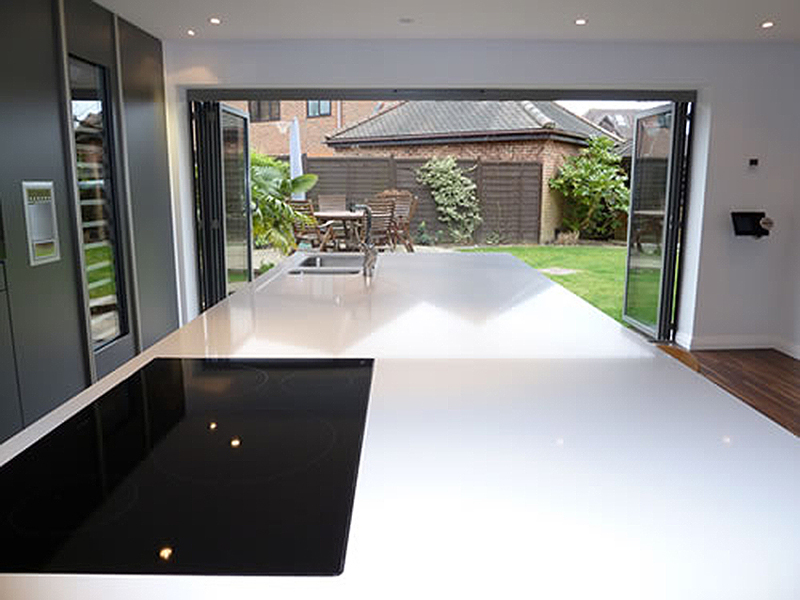 When folded back the doors allowed a seamless relationship with the garden. 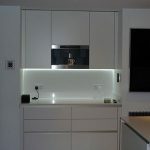 The landscaping and external garden lighting scheme added to the success, by allowing the garden to flow freely inwards.